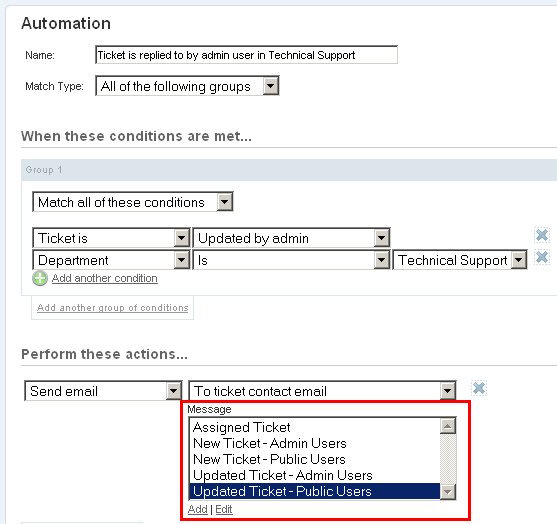 Department email settings (specifically, modifying the "From" email address and name) from version 2 have been moved to another section of the software in version 3. If you installed a fresh copy of version 3, you'll see a few default notification messages already in the system. You can modify these messages, or add new messages. 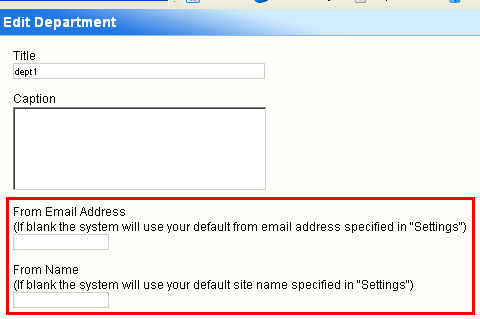 This is where you can adjust the "From" email address and name. 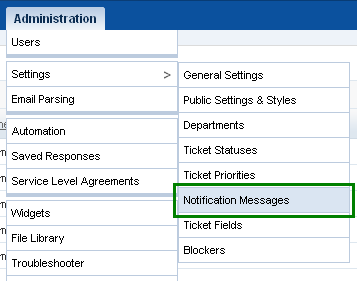 Notice the red box, which indicates where to choose the specific notification message that was created or modified earlier. 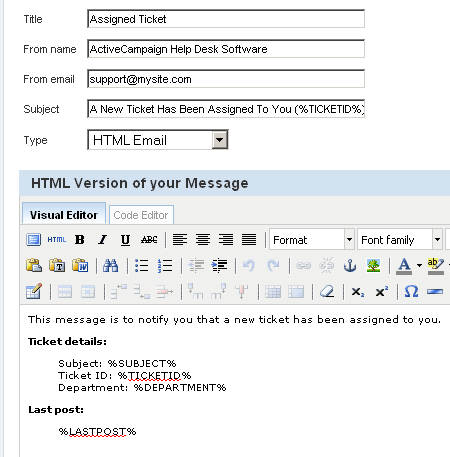 This is how you tie your notification message together with the response from a specific department.